"Fleet Air Arm Archive, 1939–1945." 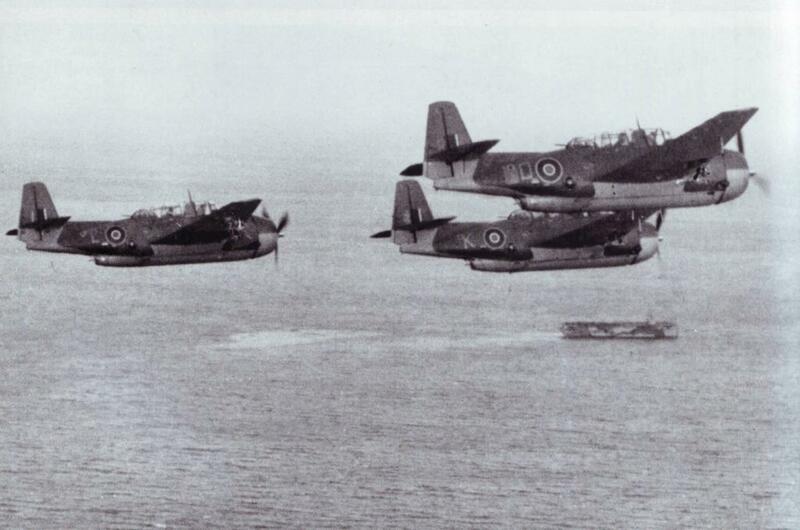 Avenger Mk IIs of 853 Sqd. from HMS Tracker on their way to bomb targets in Aaransund, Norway, 12 September 1944. Photo and text from 100 Years of British Naval Aviation, by Christopher Shores.